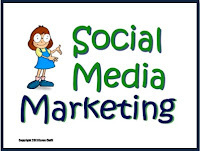 Writing and Marketing: Social Media Accounts – Should You Consolidate Multiple Niches? Social Media Accounts – Should You Consolidate Multiple Niches? How many social media accounts to maintain is a dilemma that many of us face. At least those of us who have more than one niche / focus. Do you combine your niches in your social media accounts or do you take the extra time and effort to maintain multiple accounts? 1. I write and edit health content. 2. I ghostwrite, rewrite, and edit content for small businesses and home businesses. 3. I offer platform building (content marketing and inbound marketing) e-courses and e-classes to small businesses and home businesses (including individuals). While these three businesses are within the writing and marketing arenas, their target market and focus are each very different. So, what’s a writer-marketer to do? Well, if you find yourself in the same situation, with more than one niche and they’re quite different, you need to take a step back and think from a marketing standpoint. 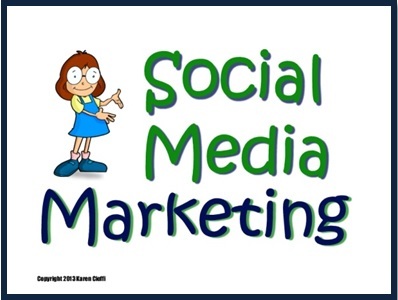 While it’s much easier to have only ONE Twitter account, one Facebook account, One Google+ account, one Linkedin account, it’s not marketing wise. According to Michael Stelzner of Social Media Examiner (in a podcast), it comes down to resources – can you manage multiple channels. In general, from a marketing perspective, you want to be MORE FOCUSED. So, you need separate accounts. This will create a more engaged and loyal following. Note: Since publishing this article, I created a second Twitter account. It worked well. I got followers, RTs, FAVs, and so on, but it was too time consuming keeping up with it. So, I let the new account go dormant. There are just so many hours in the day. Keep this in mind when deciding how to separate your niches. Thanks for reminding us that we can have more than one twitter account to focus on certain areas. Also reminding us that our time is valuable. Celebrate you and all you do to help writers! I tried multiple site but gave up because I couldn't keep up. I tried multiple topics on 1 blog, using different dates for different topics. Then, I was told to pick one & stick with it. Since I did that, views have increased. No good answer. Hey, Joan, glad these tips are reminders. I'm still working on separating my niches. It seems when you have an initial account on a social network, it you try to add another niche to it, things get screwy. Janet, it can get confusing and frustrating trying to get it all to work. That's why testing is so important. It's always wise to have once focus per website. For example, I writer for businesses and I'm a children's ghostwriter. It'd be crazy for me to have both those services on one site. With social media it gets a bit more tricky because once you create an account on say Facebook, if you create another page for another focus your interactions with other users will go to the original focus. I'm still trying to figure it out. Annoying and time consuming. But, it's good that with your one focus you're getting more traffic!